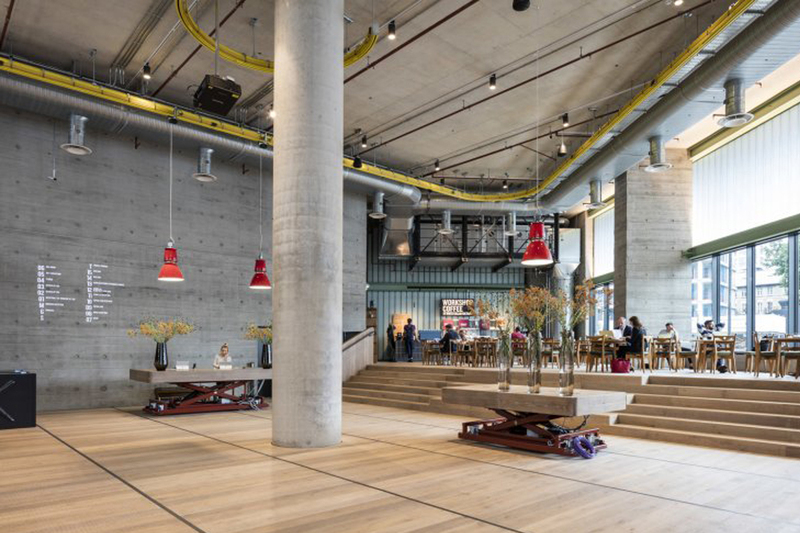 The health and wellbeing of tenants is at the core of the design principles for the White Collar Factory. For example, there are five different ways for tenants to control cooling, including openable windows and localized controls. Tenants can also save on energy bills – WCF’s energy bills are 28% less than more traditional buildings. 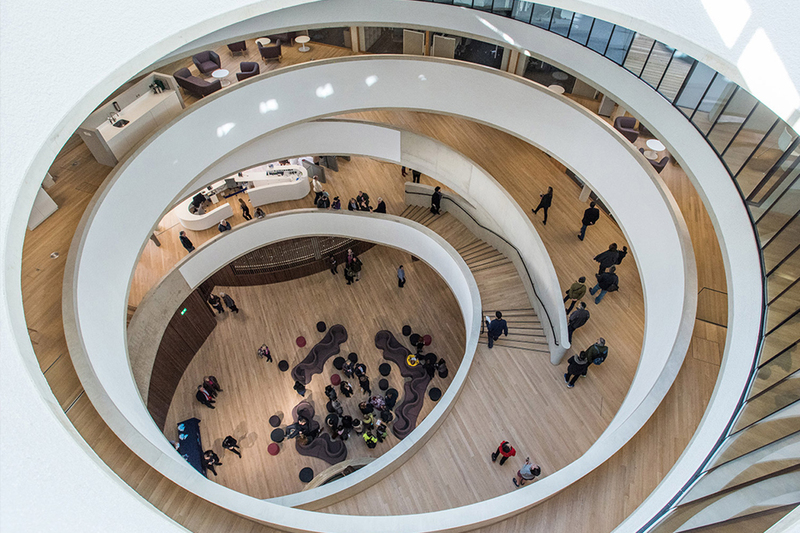 The concrete at the Hiscox HQ contained 40% ground granulated blast-furnace slag (GGBS) as a cement replacement both to lower the building’s carbon footprint and to help create the required pale exposed finish. The building's considerable thermal mass also helped to minimise heating and cooling requirements. The exposed structure, which used a 40% GGBS mix, also plays a key role in the energy strategy, its thermal mass used in harness with night-time purging through the auditorium’s ventilation chimney. 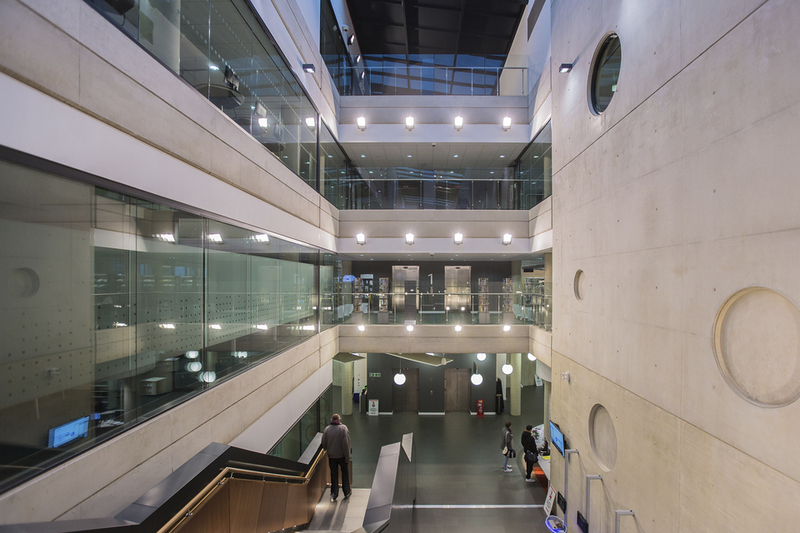 The Forum building achieved a BREEAM ‘Excellent’ rating and provides residents, students and visitors with great facilities and enjoyment of a sustainable and aesthetically accomplished local building. 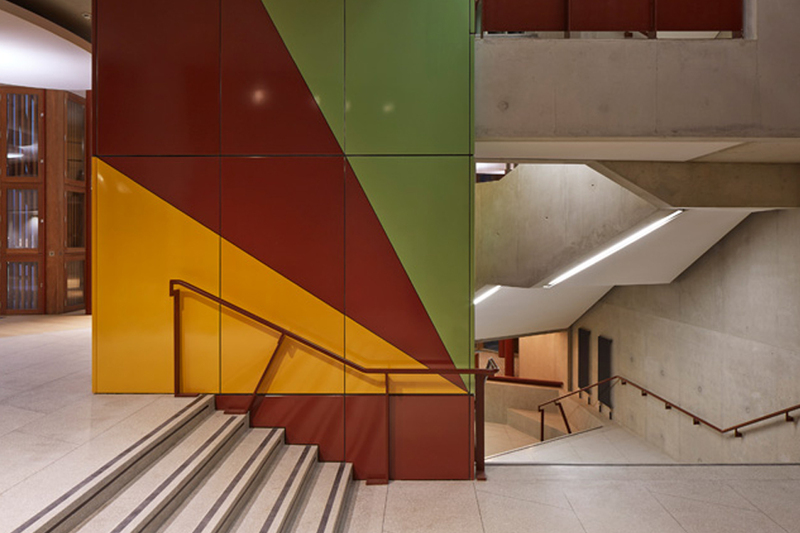 Concrete has a dominant presence throughout the Saw Swee Hock Centre, with exposed concrete ceilings and floor slabs. The building is naturally ventilated and lit and stays cool throughout the summer months due to the thermal mass provided by the concrete. 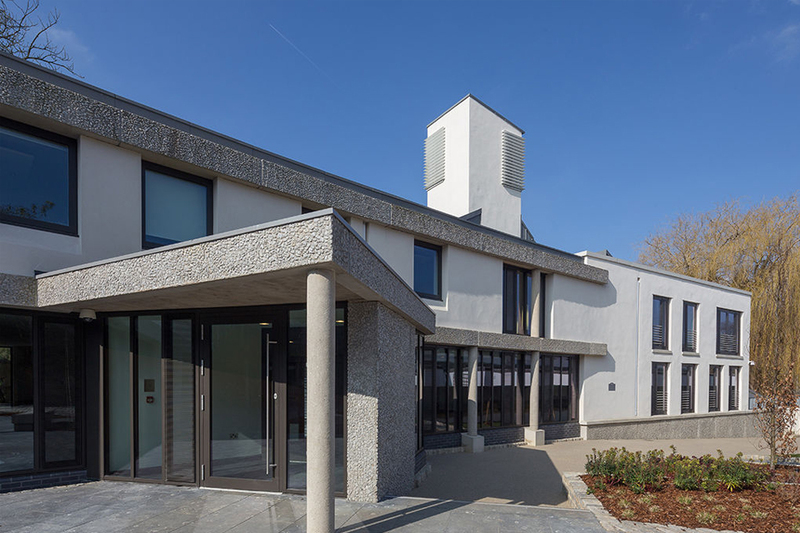 structural load-bearing precast concrete creates a robust and stunning aesthetic, while the internal exposed concrete provides thermal mass, which contributes to the school’s energy efficiency. 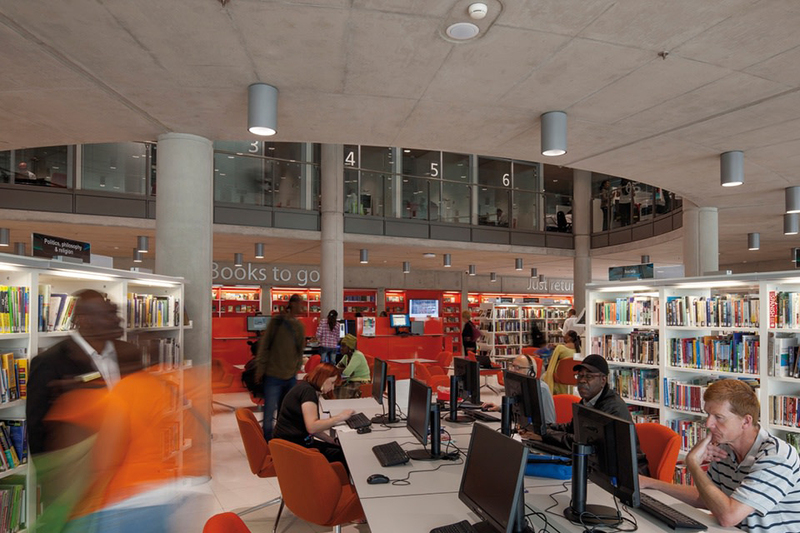 Awarded BREEAM 'Outstanding' Brent Civic Centre comprises precast and post-tensioned, in-situ concrete. 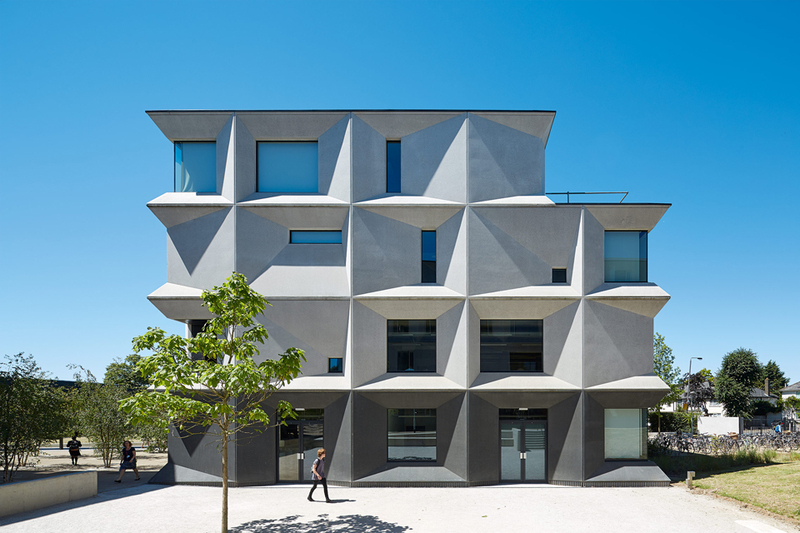 With 90% of the structure utilising exposed concrete it maximised the operational energy saving potential of concrete’s thermal mass. 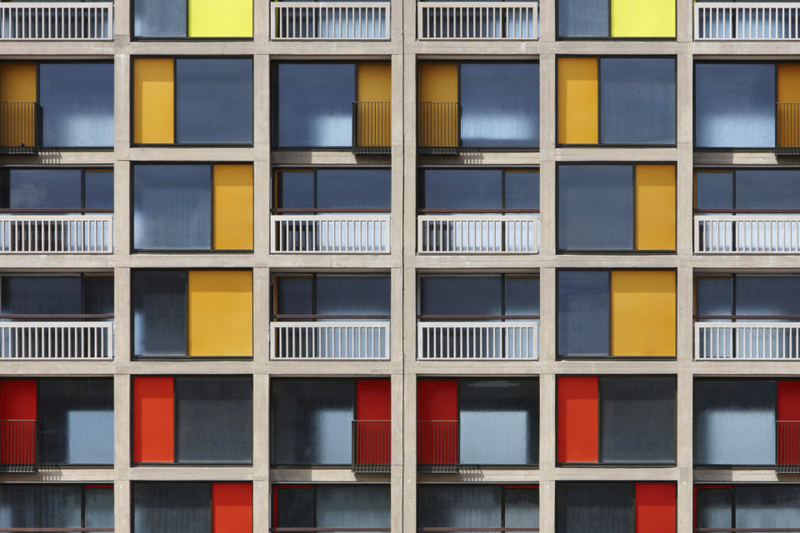 This iconic post-war housing development had fallen into decline and needed to be brought into the 21st century. The concrete structural grid was structurally sound and has been re-used to create modern living spaces. 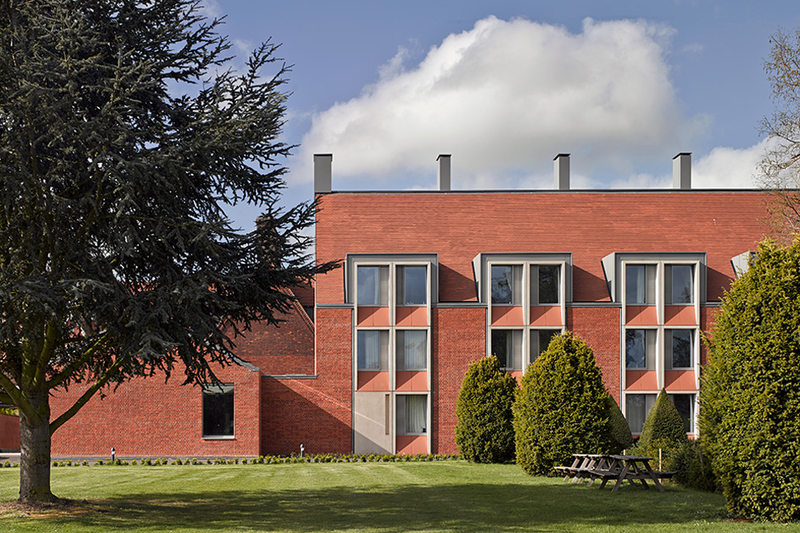 Ash Court is a new student accommodation wing at Girton College in Cambridge designed to Passivhaus standard with a BREEAM ‘Excellent’ rating and a 100-year design life.